Glenshaw, Pa. — The Steel Deck Institute (SDI) published the First Edition of the SDI Steel Deck on Cold-Formed Steel Framing Design Manual, which complies with the requirements of the SDI Design Standards incorporated into the 2018 International Building Code. The design and usage of steel deck on cold-formed steel framing is similar to deck supported on open web steel joists or rolled beams, but there are some critical differences. 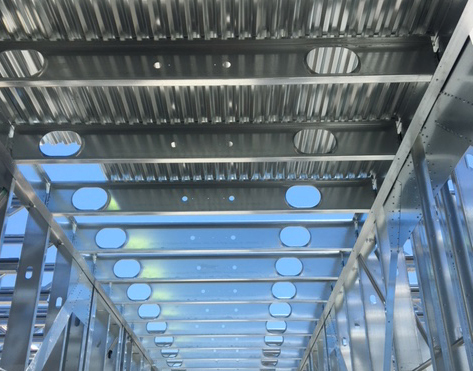 The SDI Steel Deck on Cold-Formed Steel Design Manual points out those differences and provides the design guidance that is necessary to enable steel deck to be properly used in this application. The 241-page manual includes applications for steel floor and roof deck, including diaphragms. The extensive commentary, seven design examples, diaphragm tables, and fastener properties contained in the manual are an excellent resource for engineers and architects. The manual is available as a free PDF download from the SDI website (http://www.sdi.org), or as a printed manual for the discounted price of $30.00.